At this year’s ESS Exhibition, Terberg DTS Fire and Rescue Division, part of the global Terberg Group, will be demonstrating its biggest ever selection of products and services from its growing fire and rescue division that operates through the company’s two main locations in the UK, in Halifax and Gloucester. On stand F67 within the main hall, Terberg will have a comprehensive selection of its firefighting products on display, this will be supplemented by a display of the latest Terberg fire vehicles, including an Oshkosh Striker ARFF vehicle that will on show within Stand No OS404 in the outside display area. FLIR thermal imaging cameras, including the K series rugged hand held models, are also part of the Terberg product range and will be on display, as too will be a selection of TFT portable and fixed station monitors. 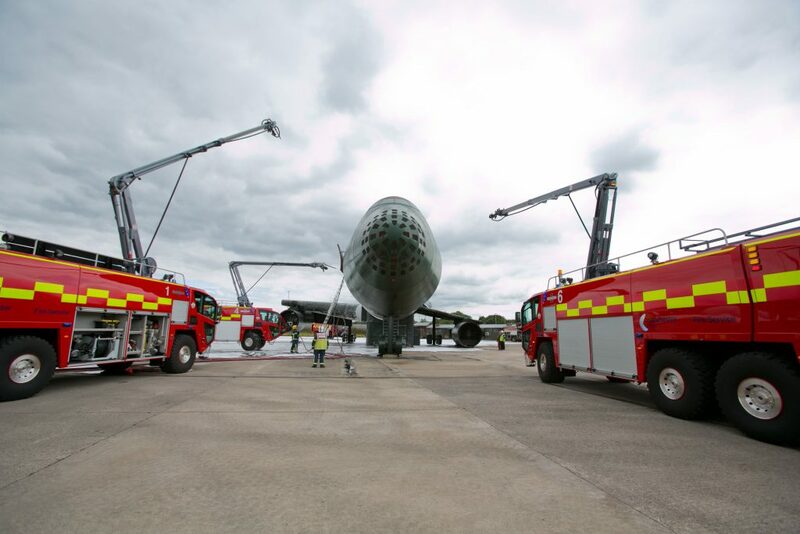 Within the outside display there will be an example of the latest Oshkosh Striker ARFF vehicles that will be working at Manchester Airport. The Striker on display will feature Oshkosh SNOZZLE® technology, which is the recognised industry leading product in the high reach extendable turret category of products. The Snozzle has become one of the most innovative products for fire suppression agent delivery in emergency situations. It is a multi-function, quick attack tool that redefines firefighting performance by aggressively extinguishing fires without delay and gives the operator instantaneous capability to place suppression agents at the fire source. Terberg DTS UK is a market leading supplier of bespoke, specialist vehicle solutions. With over 150 years’ experience, Terberg offers a one stop solution for the supply of fire vehicles, fire fighting equipment and foams coupled with an unrivalled 24 hour service and support network.